As a lifelong travel agent, I have always felt travelers would like to “help” the community they visit; but they do not know what to bring or where to donate it. Pack for a Purpose offered that opportunity for me this past November! I was on a cruise to West African ports that are growing countries with great needs. 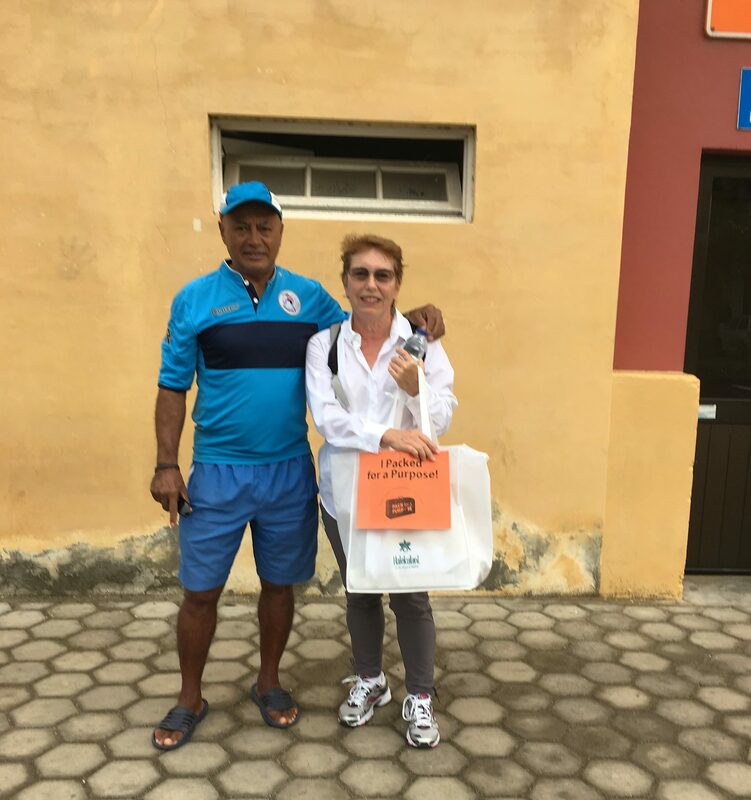 Pack for a Purpose offered the opportunity to take school supplies to Porto Grande, Cape Verde island. I emailed and my contact was to meet me at the port entrance to pick up the supplies. Our ship docked and I got right off and walked to the entrance. “Mrs. Stanfield?” he asked. With relief I handed him the bag and returned to the ship for my excursion to see the island. What a pleasure and great satisfaction for a mission accomplished. Only wish I had brought more supplies.